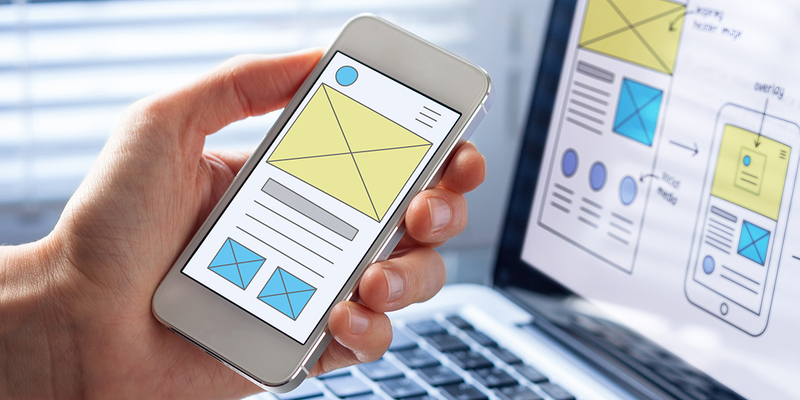 Wireframes are the foundation of every single digital product you encounter, from basic websites to complex apps. They are an integral part of the web design process as they outline the structural navigation of content and define the user experience. In this article we will answer some of the common questions about wireframes that we’ve come across. The primary function of the wireframing stage of web design is to define the structure of your website or app and guide content hierarchy. They act as structural layouts for your website, much the way blueprints provide layouts for your home. What can I expect to see in the wireframes? What should I be looking for during the wireframe stage? Is the most important information on my website quickly accessible? Does the homepage have compelling information and relevant calls to action? Is the contact information quick and easy to find? Are social media links quick and easy to find? Is the primary navigation simple and organized? Once I am on an inside page of the website, is it easy to navigate back out to other areas of the site? What things should I avoid looking at in the wireframe stage? As mentioned previously, the wireframing stage is strictly to determine structure and content hierarchy of your website, therefore you should not be considering design elements during this stage. Things such as font styles, colours, graphics and other visual elements are not defined in this stage and should therefore be disregarded. Basic font styles such as bold, italic and underline may be used in wireframes strictly for the purposes of helping illustrate content hierarchy. Thoughtful, organized wireframes create a strong foundation for the design phase of your website and can maximize efficiencies. Working out the specifics of usability and content hierarchy prior to design application can greatly reduce the time spent on the project. Including this critical step in the web design process helps ensure your end product is thoughtful and effective in both function and aesthetic. As you can see from this basic overview, wireframes are an invaluable tool and are integral to the success of your website design. At nonfiction studios they are an essential step in all our web and app design projects.